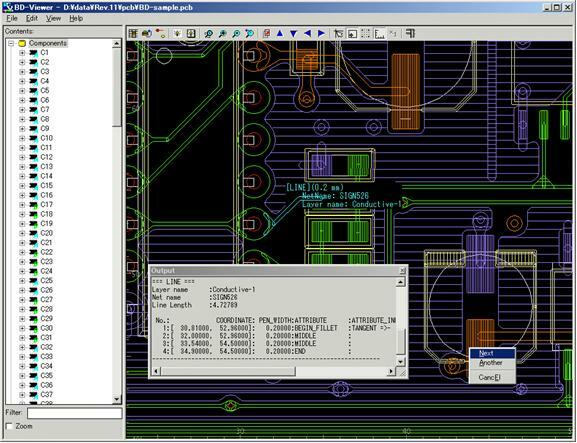 Zuken BD-Viewer is one of the famous utilities that allows PCB (Printed Circuit board) designer to view board file which is especially common for Japanese board makers. If you are first time using Zuken BD Viewer and experiencing difficulty in operating the utility, here is a simple step that will able to guide you through. The procedure will not cover comprehensive step by step on how to use it but instead, it will just show you the steps on how to load the utility, browse for the correct .pcb format file residing in your local drive by avoiding some common error messages such as “Opening database file failed. An illegal character is included in the file path name” and so on. Once download and install the utility, do not be surprised if you can’t locate the utility under your Program Lists. Users can look for it under the C:\Program Files\ZUKEN\BD-Viewer folder and you will notice a viewer.exe executable file in the folder. Clicking on it will launch the utility ready for you to browse for specific .pcb file to open and work on it. Do take a special note that your .pcb file should be located without any special character especially the ‘space’ in between any directories that will cause error message of “Opening database file failed. An illegal character is included in the file path name”. For instance, if the .pcb file is stored in \My Documents or sub directories of it, then the error message will prompt up and so it is always advisable to store it in C:\ drive to eliminate any unrecognized special character error that cannot be handled by the utility. Hopefully this simple step will able to guide you through without spending unnecessary time on non-value added tasks.